Dear Friend,Kintsukuroi is the Japanese art of fixing broken pottery through the use of a lacquer resin sprinkled with gold powder to mend the broken pieces back together. At some point in the 15th Century, the Japanese started to employ this technique. Collectors everywhere started to clamor after these repaired pieces because they were seen to be much more beautiful than the originals. Kintsukuroi artists became known not so much for their ability to make things as good as new, but instead to render them better than new. 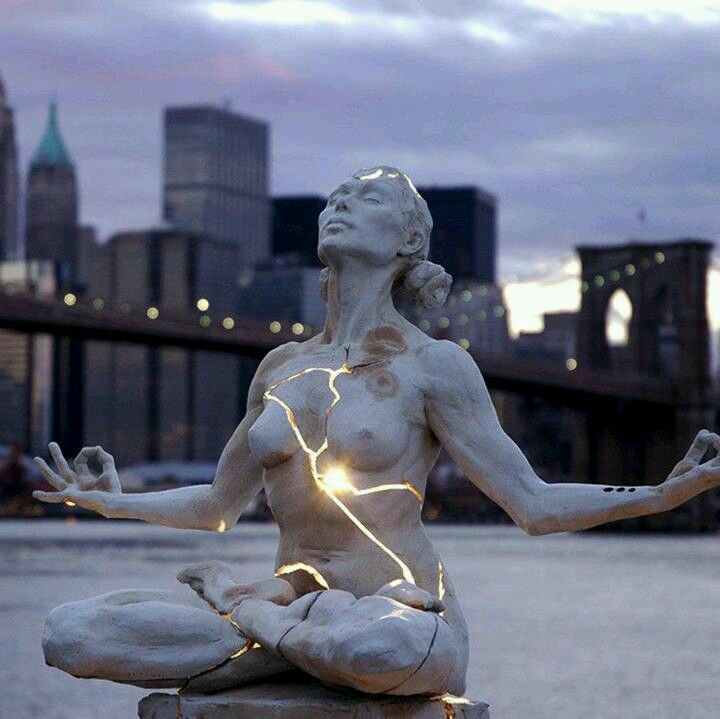 The piece is considered more beautiful for having been broken. Looking at a potted bowl, for example, as having life force, many would say that the bowl’s “energy” was finished the moment it was dropped or broken. From the Kintsukuroi perspective the true life of the bowl actually began the moment it was dropped. What is to be our golden lacquer? We are put back together using the gold powder of the 12-Steps, yoga, meditation, connection with a higher power and being of service to others. These are the elements that make up the beautiful golden lacquer of the path of recovery. When we use these tools as the golden glue in which to mend our broken pieces, something incredible happens. We become transformed, not just into the entity we once were, but into an entirely new being more beautiful than what the original could have been. When we look in the mirror, our cracks are still there, filled in now with unique golden lines. We see them more clearly. We know where we have been and we are better now for having been there. We have been fragile like a china doll. “Just a little nervous from the fall,” is how Robert Hunter put it. In recovery, we have combined our fragility with resilience and love to find a life of such richness that before we could never have imagined…A powerful lesson for us all on the difficult and magical path of recovery.